Good morning pretty ladies and happy hump day!! I'm seriously SO excited about sharing this outfit today, possibly more so than any that I've ever shared with y'all before! Maybe that's because I've been searching for a few years now for a cute, flattering, and affordable puffer jacket...well, I finally found one!!! But y'all, I am also obsessed with this sweater and these $68 high waist skinny jeans too! 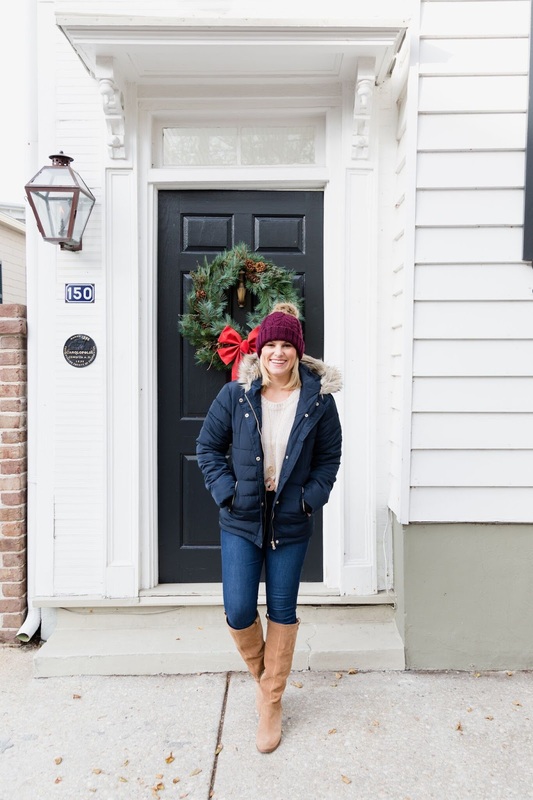 And an added bonus on the puffer I noticed it was marked down 25% off the already low price yesterday, so I can promise you, this one won't last long! As far as sizing goes, it runs tts and I'm wearing it in the 4 US.